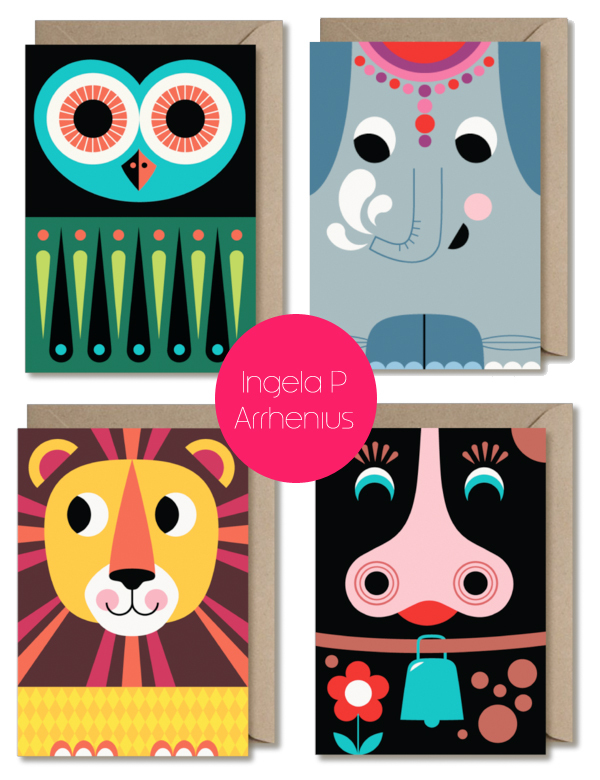 I am crushing on these bright and bold quirky new Hej animal cards illustrated by Swedish illustrator Ingela P Arrhenius that she recently added to the people Hej (which means 'hello' in Swedish) cards below. Aren't they adorable?! My daughter would eat them up and how happy would they be to get in the mail? Find them here and here. Why these are cute! I love the ice cream man. These are really fun and adorable cards. It easily brings a smile on anyone's face. These are the cutest cards I've seen in a while! Especially for kids. I love the elephant one!! 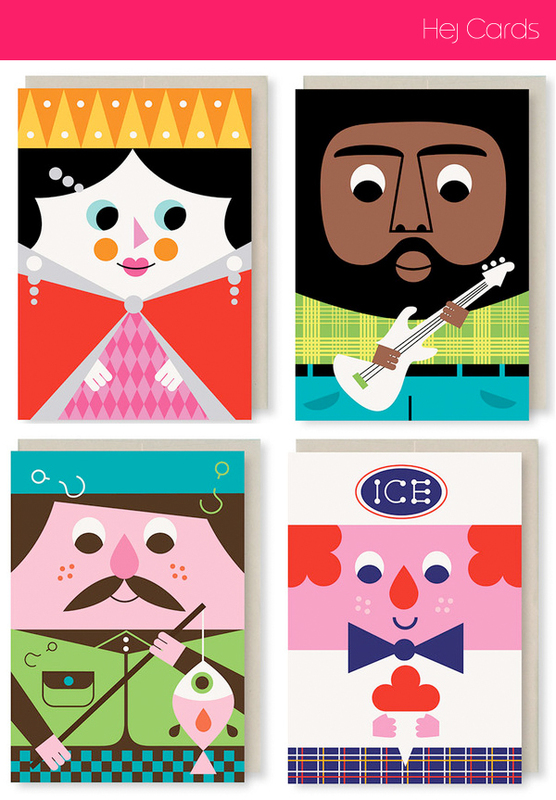 these are such cute, bright cards - i especially like the jolly ice cream man! these are so much lovelier than the usual tacky children's cards. I adore the ice cream man.